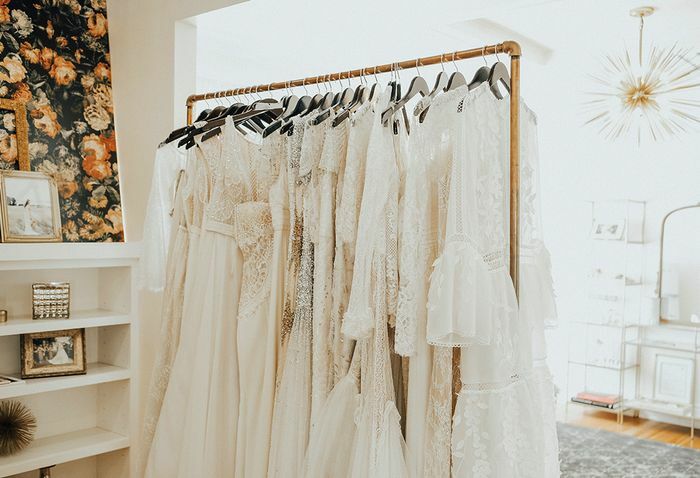 There are many important decisions that go into wedding planning, but selecting a dress is often the most fun one on the list for brides-to-be (cake-tasting is a really, really close second). But while you're on the hunt for The One—be it a classic strapless gown or an of-the-moment "naked" dress—don't forget to consider the jewelry you'll wear with it. 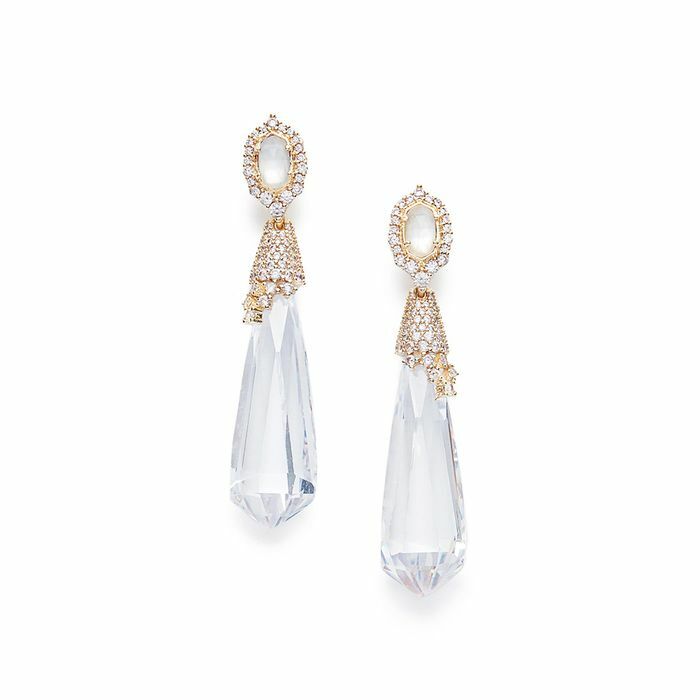 Think of it as the finishing touch that will truly make your look when you walk down the aisle. 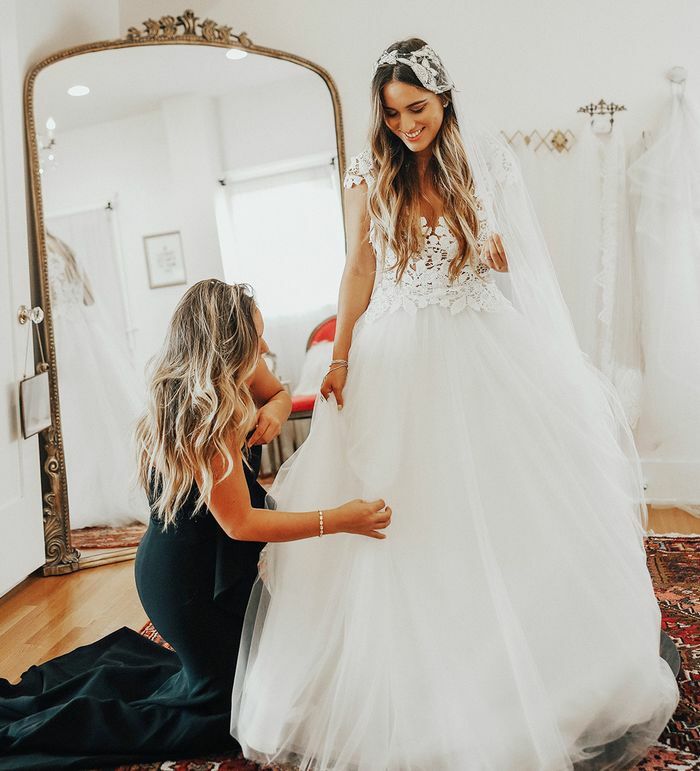 Instead of spending hours scrolling through Pinterest for wedding dress and jewelry ideas, take some vetted inspiration from über-chic bride-to-be Gina Ybarra, who graciously let us tag along as she went wedding-dress shopping with her maid of honor. 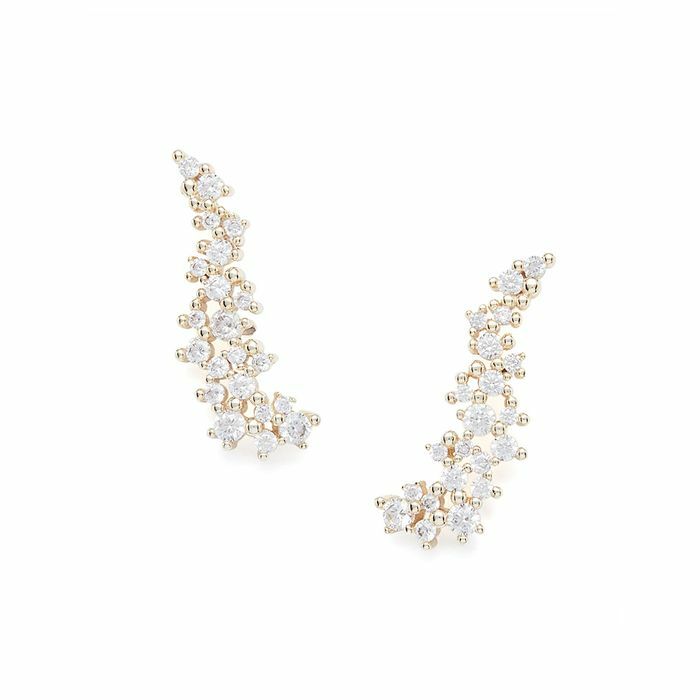 While you'll have to wait until the big day to find out which dress the Hunt for Styles blogger ultimately chose, we can tell you that she'll be accessorizing with luxe pieces from Kendra Scott's new bridal collection. 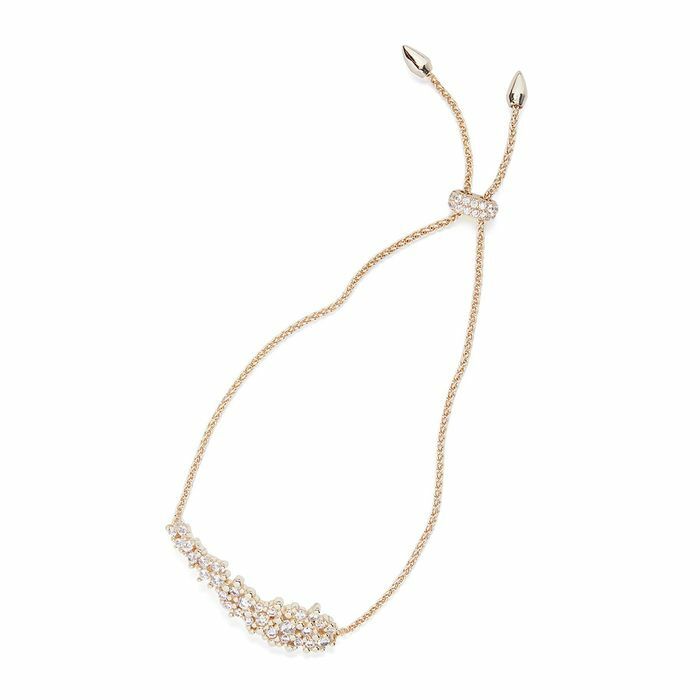 Whether you're planning your own wedding or will be attending one as a guest, our roundup of dress-and-jewelry combos should help you get closer to finding the perfect look. Ybarra, who describes her style as "boho yet chic," lives in San Diego, but she's planning her wedding at an oceanside villa in Mexico, where she's originally from (yes, we're still working on scoring an invite). The coastal location and her love for vintage style are sure to influence her dress pick… Case in point: Most of the styles she tried on had gorgeous lace and crochet detailing. The first dress Ybarra looked at was a strapless contour gown with a sweetheart neckline (perfect for showing off her jewels!). 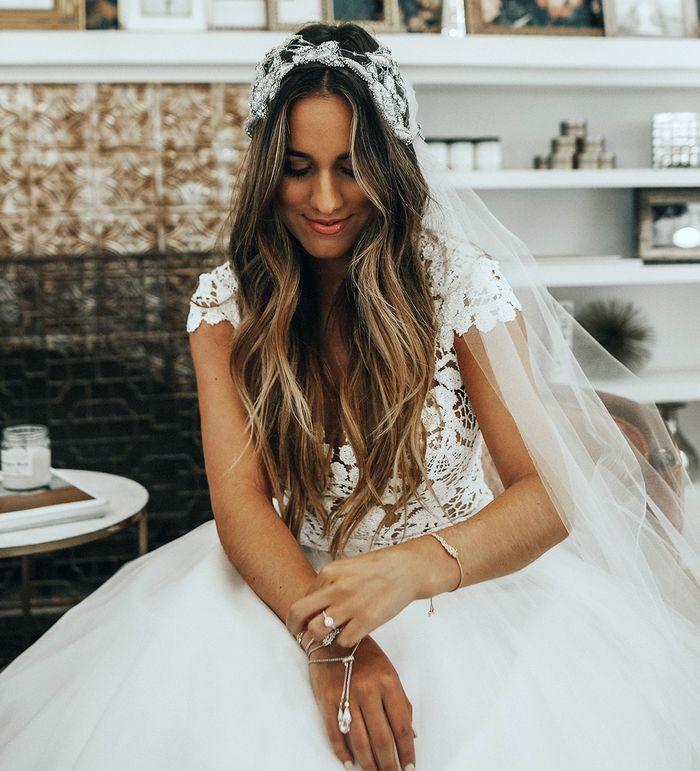 "I recommend basing your hairstyle on the jewelry you want to accentuate," Ybarra tells us of her decision to try on the veil with this half-up, half-down style. Her bracelet, necklace, and earrings are dainty enough that they don't take away from the statement-making veil. Ybarra also considered a full updo so she could show off the back of the lariat necklace she's wearing here. No one ever said you can't do a hair change after the ceremony, and this necklace is definitely worth the cost of keeping your hairdresser on retainer. Ybarra's minimalistic dress style means she can make a bolder statement with her jewelry. Here, her double-bracelet look shows off her personal style while still feeling really elevated. Ybarra's sister, who also happens to be her maid of honor, got in on the fun too. Jewelry and dresses were involved, so we can't blame her. She proves that the collection is just as wearable for the bride as it is for any wedding guest. For her second look, Ybarra tried on a princess-style short-sleeve embroidered dress. This time she tested out a truly glamorous bohemian look complete with loose beach waves and a glitzy crown. Since this dress is fairly busy on top, Ybarra opted out of wearing a necklace altogether. Instead, she focused the attention on her wrists in a truly unique way. Here, Ybarra repurposed the lariat necklace by wrapping it around one wrist. 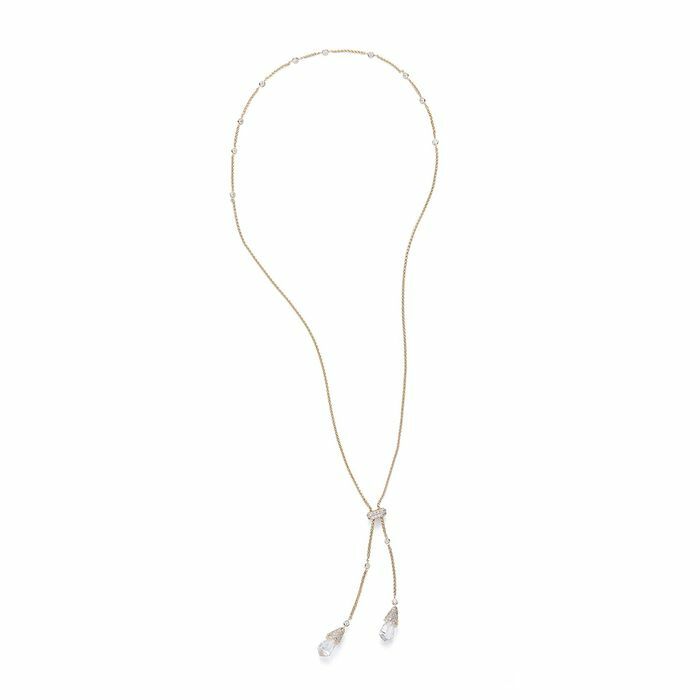 Layering the gold chain with other dainty bracelets and finishing off the look with an ear crawler gives this look a modern feel with a bohemian feel to it. 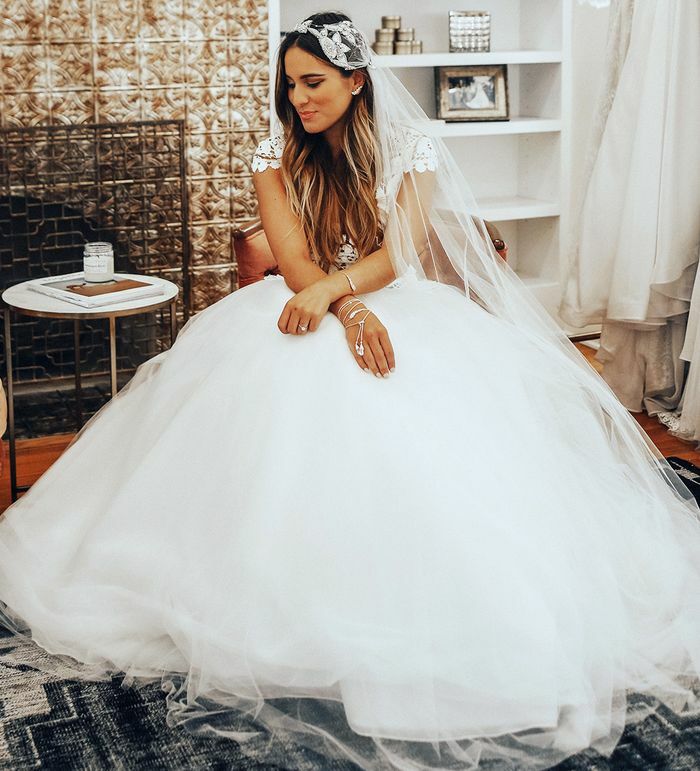 One thing's for sure: No matter which dress-and-jewelry combination Ybarra ends up wearing, she'll definitely be sparkling down the aisle on her big day. Ready to plan your wedding look? Shop elegant jewelry from Kendra Scott that's perfect for whatever dress style you choose.